Spas can be both blissfully relaxing spaces, and energetic party spaces as well, and hot tub parties can go from bumpin’ good times to pleasant relaxation. Here are some hot tub party ideas and hot tub party pictures for ideas to make your event shine. 7 Keep the Food Away From the Spa! 15 No Cell Phone Use in the Tub! Having a theme for the party is always a good idea. It could be Eddie Murphy Hot Tub Inspired, Hot Tub Time Machine Inspired. For kids, you may want to go with a more general theme like Moana, The Little Mermaid, or a Pirate themed party. If you’re not looking to have a roaring party, but still want to host a hot tub party, think about making the party more about the spa: manicures, pedicures, facials, massages, etc. 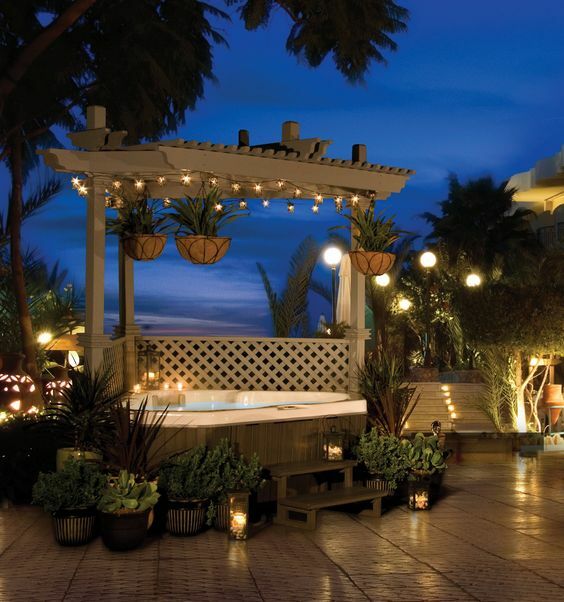 You could recreate a spa in the back yard patio area, and have a very memorable party. Be sure the spa is in good shape for use before you invite everyone over. Check the bromine levels, and make sure the water is clean and clear. Give the tub a shock the night before to ensure the water is looking great. See here for our Hot Tub Maintenance guide. Before the guests arrive, be sure to get the tub to the proper temperature. For most adults, we recommend aiming for 104′ for maximum comfort, but that’s a maximum! If the party is going to be kid-focused, consider dropping the temperature a few degrees in order to accommodate their smaller frames. Hot in the Hot Tub! Hot tubs aren’t swimming pools, so don’t plan on inviting the whole neighborhood over for a soak in the tub. Many spas struggle with more than 6 people in them at one point, so if you have a large party going, make sure you have enough other stuff for people to do other than wait in line for the hot tub! You don’t want your party to be like this one. Keep some extra towels on hand for people to dry off, and a few spare bathing suits if possible. Often guests will come to a party and forget their towel or their suit, or they take an unplanned soak in the tub. Be sure to keep some spare towels on hand so that they aren’t tracking water through the living room! When hosting a hot tub party, remember that everybody will be wearing bathing suits, and everyone will be going into very warm water. Consequently, it may be best to keep the foods on the light side, or keep things a bit spicy. Fruits work very well, as do any items that you can eat with a toothpick. It’s best to keep greasy foods away from the hot tub, as you run the risk of getting a nasty film of greasy food in your water. Yuck. Serving a heavy meal before encouraging everyone to go into the hot tub may not make the most sense. Keep the Food Away From the Spa! When there are a lot of people milling around a hot tub, it can be easy for people eating on the sidelines to get food in the hot tub. Ick! No one wants nacho cheese in the tub, so it’s best to keep the food on the other side of the patio space from the hot tub! 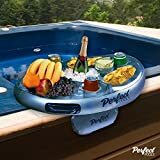 Official 'Perfect Pools' Spa Bar Inflatable Hot Tub Side Tray for Drinks and Snacks - Perfect for Pool Parties! Cool inflatable food and drinks holder. 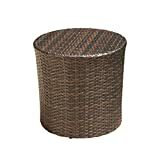 Can be used for a variety of cans, bottles and food items. Carry handles for easy portability. Keep real glass away from the hot tub, especially if it’s an inflatable hot tub! If you don’t want to use cheap plastic cups, there are many wine glass and pint glass shaped glasses made out of plastic that are essentially indistinguishable from regular stemware. 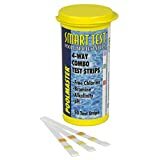 These won’t shatter and are safe to use in a pool or hot tub area. If you have a pergola or soft top gazebo setup around your hot tub, decorating the area above the tub with lights can really be beneficial to creating a beautiful atmosphere. 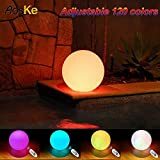 There are some really cool new floating LED lights available now, and many are perfect for hot tubs. The bubbles make them move around, resulting in an even more impressive light object. Be sure you have other activities available for when the guests aren’t soaking in the tub. If you have a swimming pool, then the combination of a hot tub and a swimming pool are great! If not, consider picking up some board games, card games, or have some sports equipment on hand for enjoyment. A good hot tub party mix should be easy to put together. Select some songs and cue them up prior to getting the party rolling. Ideally, you’ll have a speaker system that you can bring outside to keep things bumping. If your hot tub is a 110v plug-in style inflatable hot tub, be sure not to plug other electrical items like speakers into the same outlet as the hot tub! 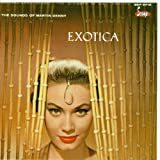 Or, if you’re looking for something a little different, take things in an Exotica direction and bust out those tiki statues! It’s best to keep the alcohol in the bottle until after your guests are done soaking in the tub. Drinking a lot of alcohol and then spending a lot of time in a 104′ tub isn’t a great idea, as overheating can be compounded if you’ve already dehydrated from the alcohol. Best to wait until after your guests have been in the spa to pop the bubbly champagne. Don’t just serve alcohol at a jacuzzi party. You want to make sure there is a good selection of non-alcoholic fruit juices, sparkling water, etc. in order to be sure that everyone stays hydrated. It seems odd, but you can get dehydrated while sitting in a hot tub, because you will be sweating! Keep your guests’ wellbeing in mind. No Cell Phone Use in the Tub! This should be obvious, but… make sure your guests are not using their cell phones in the tub. They probably won’t get shocked and hurt themselves from the use, but you certainly don’t want to chance anything. Also, you don’t want them to drop the phone in the tub! When you’re in party mode, it’s easy to forget that the phone can be easily damaged by water, so remind guests to keep their phone away when they’re in the spa.